Team Mohenjo Daro kick started promotions in the city with an event introducing debutant Pooja Hegde for the very first time. Co-actor, Hrithik Roshan took lead and personally introduced Pooja to the media during the event. While the entire team consisting the producers, cast and crew were introduced by Director Ashutosh Gowariker, Pooja’s entry was led by Hrithik himself. The duo made a grand entry on stage, with Pooja having donned her Mohenjo Daro costume, showcasing Chaani to the world, while Hrithik was dressed in a traditional attire. Hrithik not only led Pooja’s walk during the introduction but also danced for her impromptu to the love song ‘Tu Hai’ making Pooja aka Chaani truly the Chosen one! Pooja also shared her on set experience while filming for Mohenjo Daro. She said, “It’s actually been a great experience because I have worked with two great legends now, whether it’s Ashu Sir or Hrithk, hopefully their greatness, even if it has rubbed off a little bit on me, I am sure I can reach a higher level. The event not only introduced the audience to Pooja Hedge but also gave a detailed understanding of the magnum opus world of Mohenjo Daro, a product of Director Ashutosh Gowariker’s vision. From the map of Mohenjo Daro, to the characters to be seen in the film and their contribution to the story, Ashutosh Gowariker shared his insights with everyone. The event, further proved to be a treat, with music maestro A R Rahman taking center stage and enthralling the audience by singing ‘Tu Hai’ that left all those present in a state of trance. Mohenjo Daro’s trailer released and proved to be a visual spectacle. Anticipation levels are at an all time high with the audience awaiting Hrithik’s association with Ashutosh Gowariker once again post Jodhaa Akbar. Mohenjo Daro is an action-romance film based in the pre historic era. The film features Hrithik Roshan and debutant Pooja Hegde in the lead. 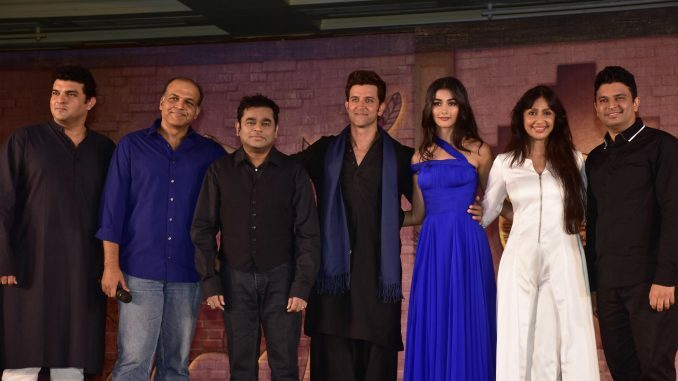 Directed by Ashutosh Gowariker, writer-director of the Oscar-Nominated Lagaan, Mohenjo Daro stars Hrithik Roshan andintroduces Pooja Hegde along with Kabir Bedi and Arunoday Singh. Presented by UTV Motion Pictures and Ashutosh Gowariker Productions, and produced by Siddharth Roy Kapur and Sunita Gowariker, the film will release worldwide on 12th August, 2016. 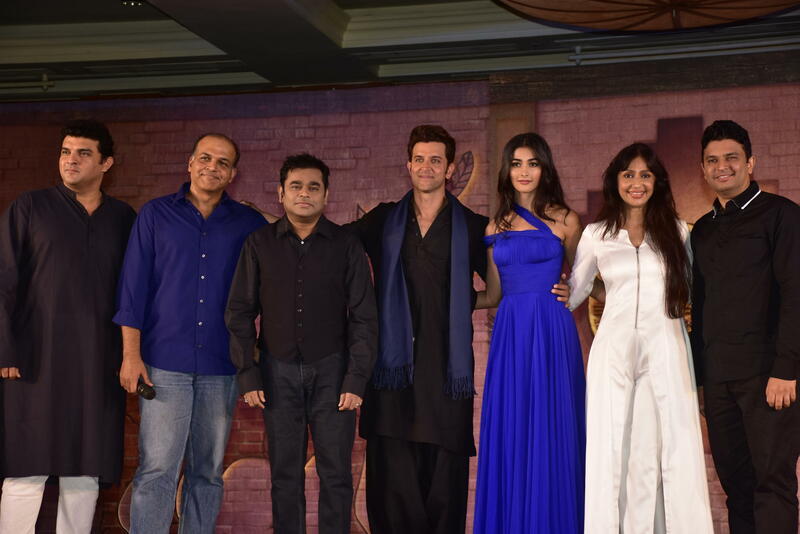 Hrithik Roshan introduces his Mohenjo Daro co-star Pooja Hegde.